Pocophone F1 did appear for the first time in India. Because, Pocophone as a Xiaomi sub-brand which is also the developer of the Pocophone F1 was introduced in India. Now, the smartphone has appeared in Indonesia and along with it is also present in Hong Kong and France. No kidding, Pocophone will also expand its wings not only in the three countries. Through slides that appear on POCOPHONE Indonesia’s Twitter account, it is stated that they will reach more than 50 countries in Asia, Europe, Africa, Middle East and Latin America . 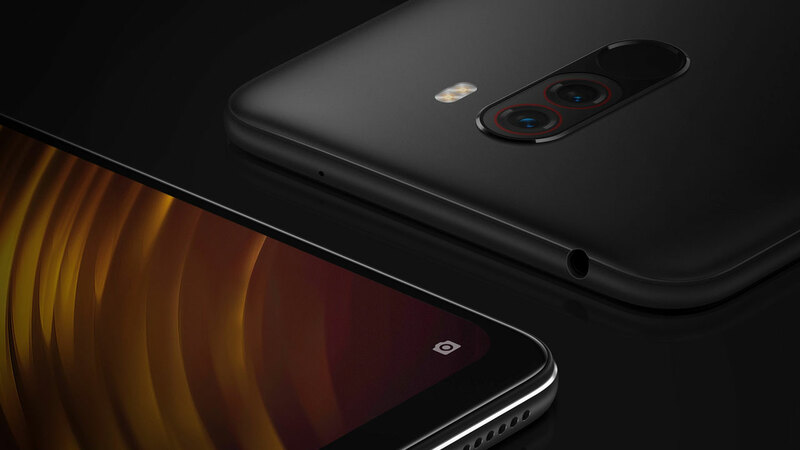 Of course this is proof that Pocophone is serious about working on the global smartphone market through its first device, Pocophone F1. But the breakthrough made by Pocophone is still fairly reasonable, the reason behind Pocophone is that Xiaomi already has a name in this industry. In the Asian region, Pocophone plans to expand into Bangladesh, Kazakhstan, Malaysia, Myanmar, Nepal, Pakistan, the Philippines, Singapore, Thailand and Vietnam. In Europe, there are many, including Austria, England, Italy, Russia, Spain, Portugal, the Netherlands and several other countries. 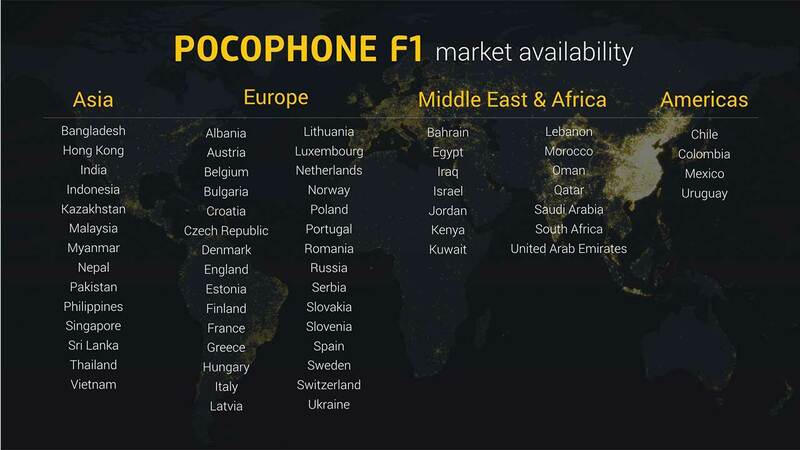 Whereas in the Middle East, Africa, Latin America, Pocophone will penetrate Bahrain, Iraq, Kenya, Kuwait, Qatar, Egypt, South Africa, Chile, Colombia, Uruguay, Mexico, Chile, Oman, Kenya, Suadi Arabia, UAE and several countries others. In Indonesia itself Pocophone F1 is predicted to be positively welcomed by gadget lovers. Because this smartphone comes with topnotch hardware specifications. Not only that, for the lowest variant (6 GB RAM + 64 GB ROM) , Pocophone F1 is sold at affordable prices.